Why do I serve the Virginia Law Foundation? 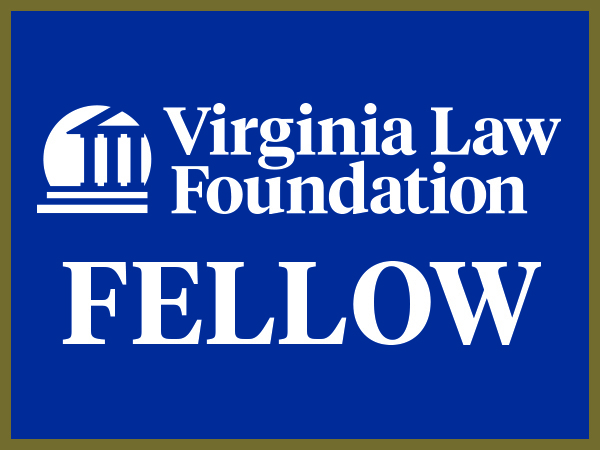 The Fellows of the Virginia Law Foundation are recognized as leaders in the profession, not just in their practices but in their communities. They comprise a group of nearly 500 of our best and brightest legal practitioners, committed to the highest ideals of the law and to the concept of citizen lawyer. Fellows are nominated confidentially by their peers. The annual nomination period begins on February 1 and closes June 15. Induction ceremonies are held annually at the January meeting of the Virginia Bar Association in Williamsburg. 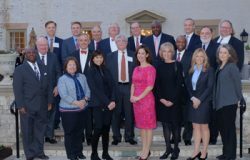 Virginia Law Foundation Inducts Fellows Class of 2019.